I love zucchini. A lot. Yet, even I get tired of it in the summer when my plants are producing enough zucchini to feed a large football team. 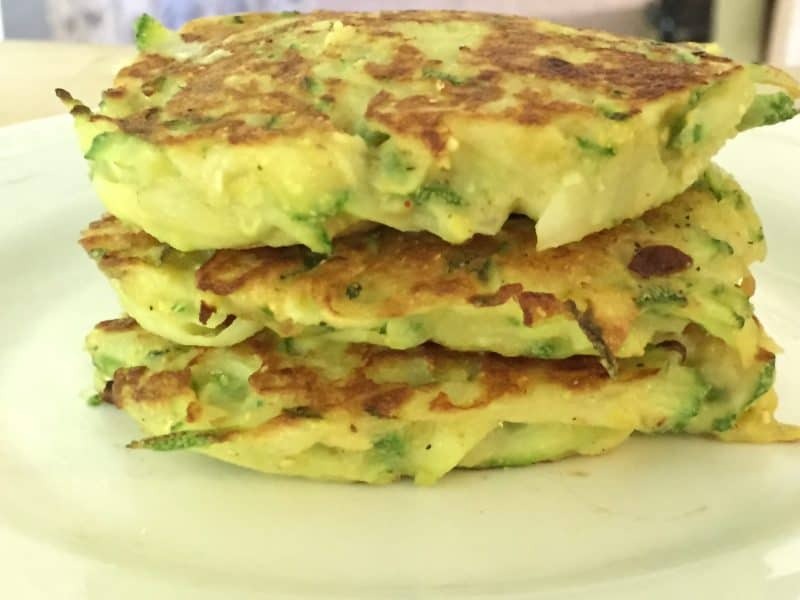 Here’s a recipe I invented that’s a bit different from the other ways I traditionally eat zucchini. And it’s tasty. 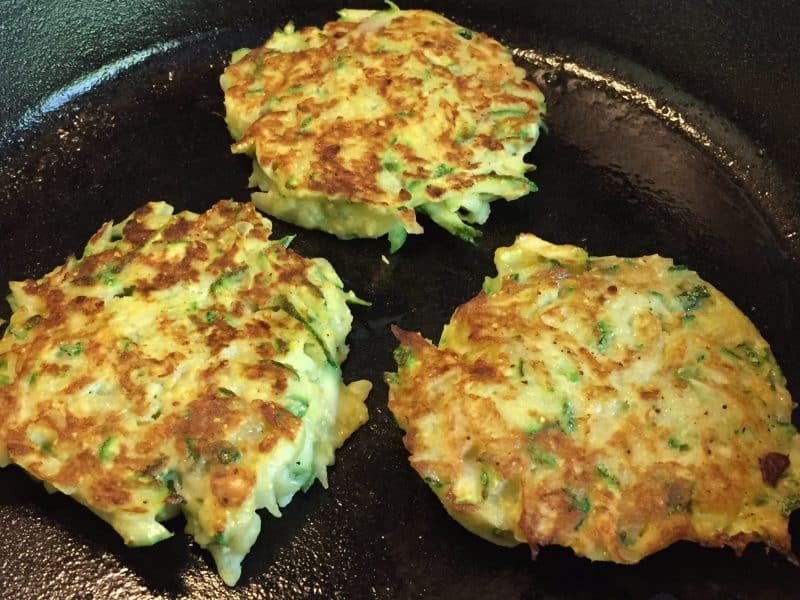 I describe it as a zucchini version of a potato latka with a twist. And bonus points, there’s easy to make. Try them out. Grate the zucchini and let sit in a colander for at least 3o minutes to drain off excess moisture (when I’m in a hurry, I put it in a fine mesh colander and squish out the water). Pat dry. Combine all ingredients except the oil. In frying pan, add small amount of oil, pre-heat pan on medium high heat. Place 1/3 cup zucchini mixture into hot pan and flatten mound slightly with spoon. Fry until golden brown, flip and fry other side. Great served alone, or with sour cream or plain Greek yogurt. Mmm.